Anjer Inc offers storage containers to rent, in multiple sizes, to cater to the varying needs of individual customers. We have a large inventory of painted 20’ and 40’ heavy duty ground level storage units for sale or rent with rear swing doors and forklift accessibility. Each container is made from 100% corrugated steel and contains multiple locking bars for security purposes. These are ISO grade shipping containers that are re-painted and refurbished. These portable storage units are perfect for on-site projects where visual appearances are a concern. Rental Containers are used in many different types of industries, for example: construction, retail, agriculture, automotive and even residential. 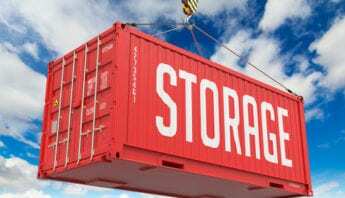 Some of our customers that rent our storage containers are based in Bucks, Montgomery, Delaware, Philadelphia, Lehigh, Northampton and Chester counties in PA. In NJ some of the areas we can be found are Salem, Burlington, Camden, Cape May, Atlantic, Monmouth, Middlesex, Gloucester, Mercer, Ocean and Cumberland counties. In DE look for us in New Castle and Kent counties. 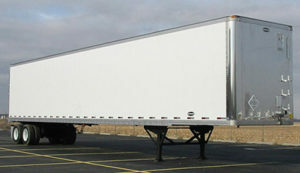 20’ foot containers are delivered on a rollback truck while 40’ containers are delivered on a roll-off trailer. It is very important to know which direction the rear doors are to face before it is loaded on to our delivery equipment. The doors either are loaded facing the rear of the truck and roll off first or facing the cab of the vehicle and roll off last. Some customers provide wood or cinder blocks for the containers to rest when dropped. Our drivers are skilled enough to be able to accomplish that request. Please make sure the ground under the containers is firm so the container and our vehicle does not get stuck. Most containers have rings in the sides for customers to add their own shelving. They also contain vents in the upper corners to provide an outlet for fumes or heat if necessary. Containers are available for rent with additional doors if needed as well as a foot extra in height if required. Contact Anjer Inc today to see if we rent containers in your area today!